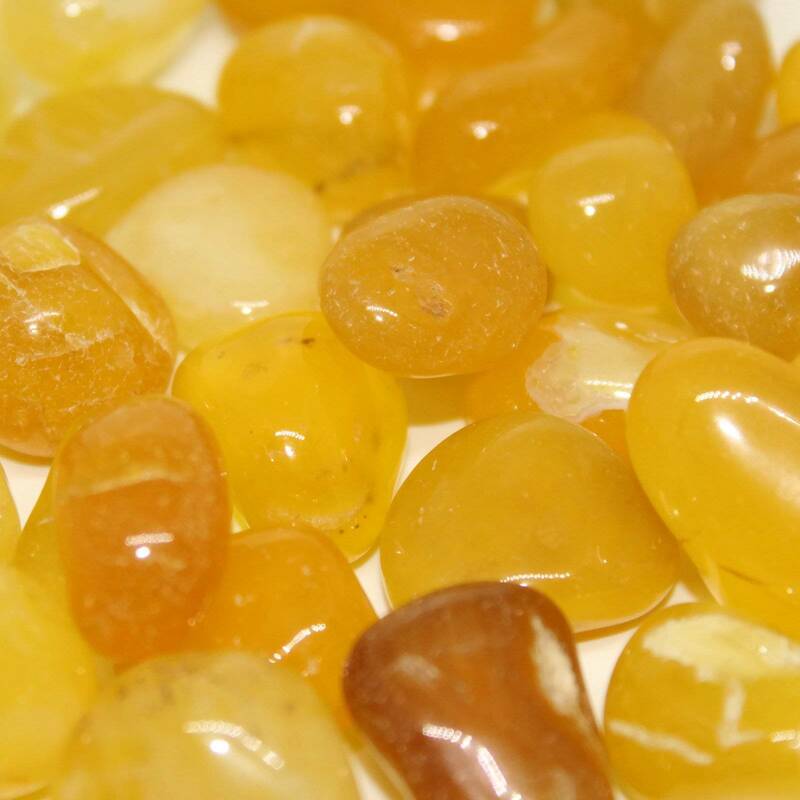 Lovely yellow Agate tumblestones, available in three sizes. Lovely yellow Agate tumblestones, available in three sizes. These are not an especially common or popular stone. 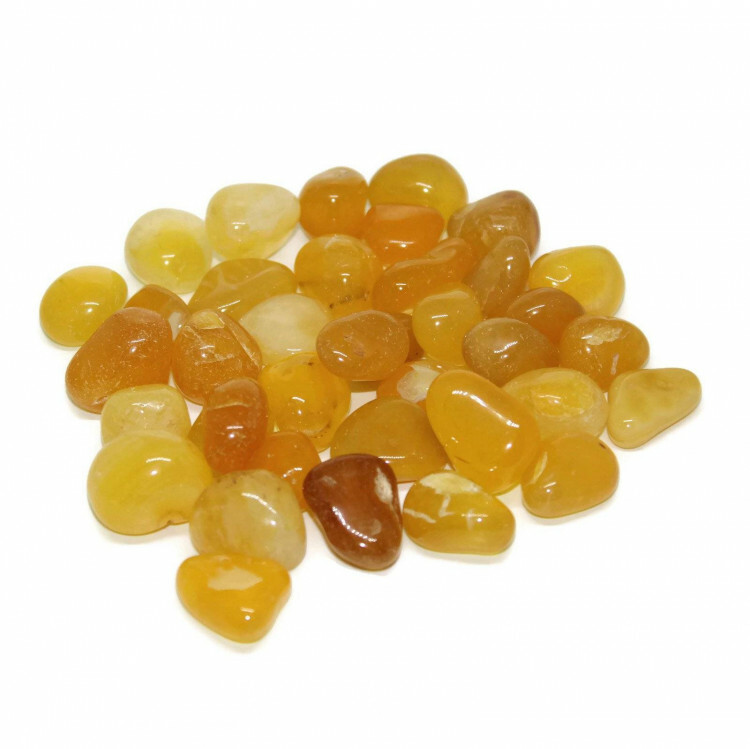 These stones range from a light to a darker yellow; in a range between clear and opaque. They make a nice display item in a bowl, or a vase, and are good contrast stones against something darker. Perhaps you could mix them in with orange and red stones for a gradation of colours? Carnelian would be perfect.